Rick Porcello wasn't expecting the reaction...at least not in an area populated by rabid New York Yankees fans. Chosen out of high school at New Jersey's Seton Hall Prep in the first round of the 2007 first-year player draft by the Detroit Tigers, he had received the expected congratulations from friends and acquaintances. But it was nothing like what happened when he was traded to the Boston Red Sox prior to the 2015 season. "People came out of the wood work...I had no idea how many Red Sox fans there are in New Jersey," he marveled. 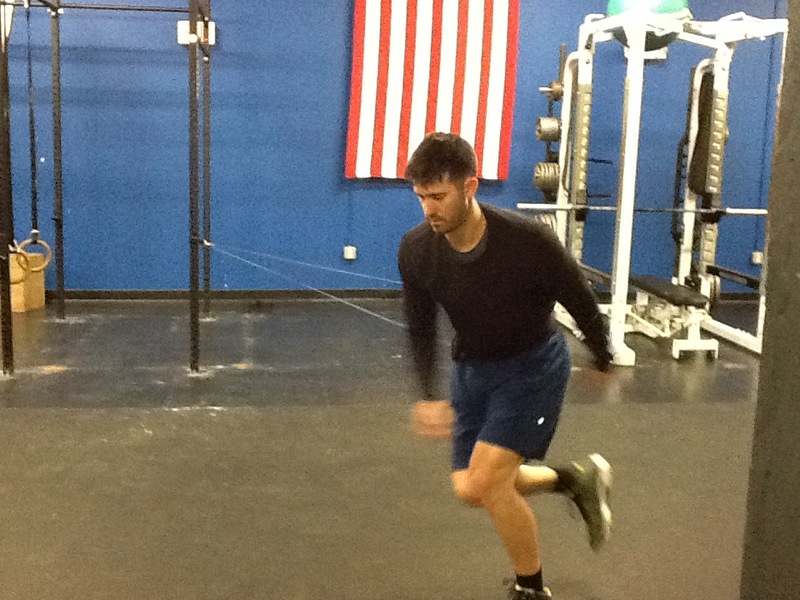 Shortly before leaving for spring training, I had a chance to talk with Porcello following one of his off-season workouts at the Annex Sports Performance Center in Chatham, NJ, not far from his home. JM – Up until last year you really had no arm issues to speak of…nothing that really shut you down. How have you managed to stay as relatively healthy as you have throughout your career so far? 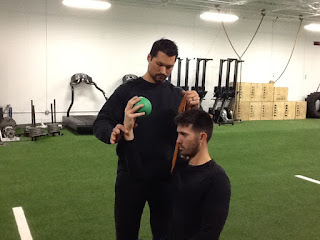 RP – I think…and I’m not just saying it because he’s sitting right here…but it does start here (the Annex) with the injury prevention and arm care stuff that I’ve learned throughout the years. It started with Mickey (Brueckner, owner of Annex) and then the training staffs that I worked with in Detroit and now in Boston. I take all that knowledge collected together, pay attention to the detail that’s provided and take care of your shoulder religiously. I think that’s really, as far as I’m concerned, the only way to do it. And to be smart as well. 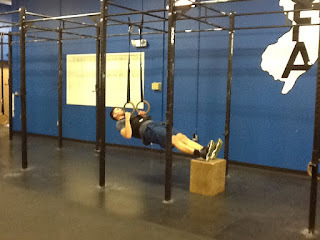 I mean, you have to do what you have to do to get ready for spring training especially if you’re competing for a job. There’s a fine line between throwing the right amount and throwing too much. You only have so many bullets in your arm so just managing our throwing programs and paying attention to arm care and the exercises that we do to prevent injury and just staying in shape. JM – There’s a different feeling going into 2016 as opposed to last year with some of the off-season moves that the front office made. What is your personal mindset going into 2016? RP – I don’t think I’ve ever been as excited to come into a new season. I’m always excited…you always have those butterflies when baseball season is just around the corner. But this year, with the way that we finished up last year, the young core of guys that we have, me personally finishing on a strong note, and the guys that we have coming in, with the bullpen arms that we acquired, and David Price - I can’t wait. I’m looking forward to it so much just because I feel like we have the guys on paper right now to do something special. That being said, it all goes into what work we put into it and how we deal with adversity throughout the course of the season and stay healthy. JM – One of the things that fans have been talking about - they felt last year there was no true #1 starter. There were good pitchers but nobody who took that mantle of being the ace of the staff. 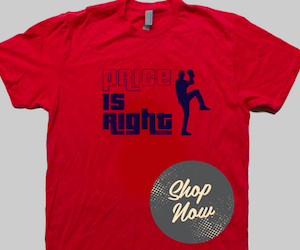 Now with Price coming in, as a starting pitcher does that allow you to relax a little bit? Is there in fact more pressure when there isn’t that “#1” stud/ace at the front end of the rotation? RP – Your job is always the same. Your job is to out there and give your team a chance to win every fifth day, give them a quality start, eat up innings. If you’re a strikeout pitcher you go out there and you get swing and misses and throw zeros up. If you’re a ground ball guy, you get ground balls and eat up innings...all those sorts of things. But when you have somebody like David Price and some of the other pitching staffs that I’ve been on in the past with guys like Max Scherzer and Justin Verlander, they’re so good and so consistent that once every five days they’re going out there and throwing 7-8 innings of one or two-run ball and giving you a chance to win. It adds that stability and I think it’s just one of those things...you want to call it a stopper...whatever it is...they can prevent some of those slides that you go through. You have guys that are maybe struggling or not throwing the ball as well as they could be...that’s the value of guys like that. That being said, my job is the same, as far as my goals from last year to this year, that hasn’t changed my entire career. I want to go out there and give us a chance to win every fifth day. That’s it. Whether we get into a situation where we have a 10-run lead and I just want to pitch deep into the game or we’re in a tight ball game and I’ve got to throw up zeros...whatever it calls for, that’s what I’m looking to do. JM – And the bullpen obviously looks much better. RP – We didn’t throw the ball very well as starting pitchers last year and that put a lot of pressure on our bullpen. The relievers were put in a lot of tough positions. There was a lot of talent down in that bullpen last year and with the acquisitions that we have this year there’s more talent coming in. I think our bullpen stacks up with anybody’s. 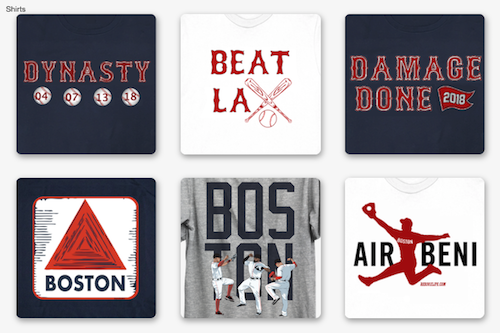 JM – The young core of players Boston has - Mookie Betts, Jackie Bradley Jr., Xander Bogaerts - they’re a lot of fun to watch play baseball. RP – They’re tremendous. I don’t think I’ve seen anybody develop like Bogey did last year at shortstop defensively. He’s always been a great hitter and talented but defensively...the plays that he was making...he was a gamechanger out there. And obviously Mookie and his season and the ability that he has speaks for itself. As far as I’m concerned, Jackie is the best defensive outfielder in the game and we saw what he can do at the plate as well. I can’t say enough about the development that Blake Swihart went through last year as well. Just watching him behind the plate learn…from the beginning of the year to the end of the year…throwing the ball to him was like a night-and-day difference. He had a heck of a year at the plate as well from where he started. He kept grinding and ended up in a pretty good place. Those guys are extremely talented and with that core, and the veteran guys to complement them, I think we have a pretty potent lineup. JM – Did you see the video that came out a few weeks ago of Bartolo Colon doing the resistance band workout? It's vastly different from the perception many fans have about him - that he’s overweight and out of shape. And that’s the same perception many Red Sox fans had about Pablo Sandoval and Hanley Ramirez coming into spring training. RP – I remember talk about Prince Fielder and people talk about him and his body composition. If I had a chance to say something, I’d tell you to come in the clubhouse and watch that guy when he takes his shirt off because that guy is a ball of muscle. He’s strong…he’s an athlete. Watch him get down the line, too. He can run. You don’t have to have a 14-pack to be in shape. It comes in all shapes and sizes. 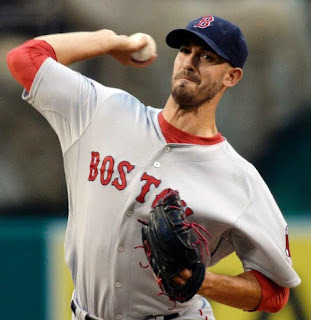 Rick Porcello will make his 2016 debut on Friday April 8 against the Toronto Blue Jays at the Rogers Centre. 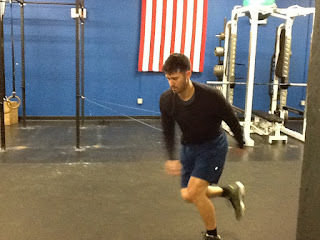 My thanks to Mickey Brueckner and the staff of Annex Sports Performance in Chatham NJ for their assistance. 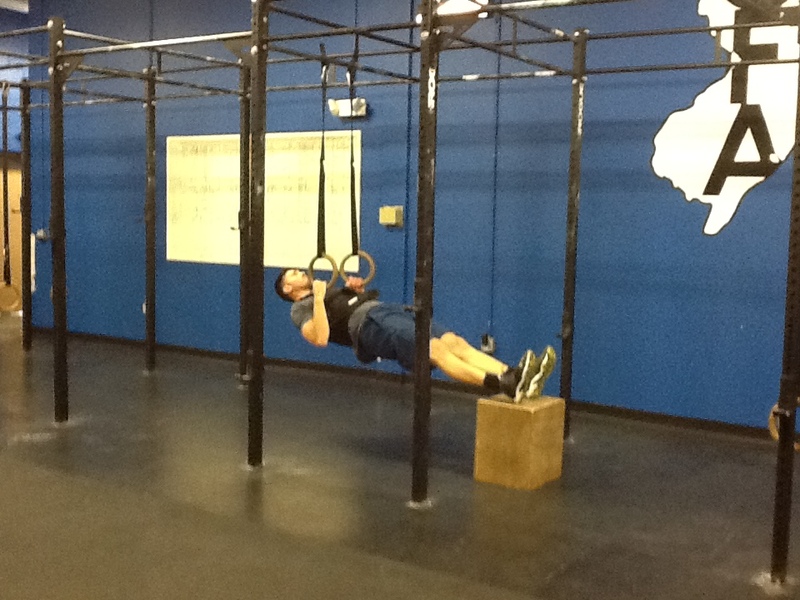 Click here to see pictures of one of Rick's off-season training sessions with Mickey.